Google has spent most of this year talking about software, but with the release of Android Pie now two months behind us, it's time to talk about hardware — and that means Pixel. Google's Pixel smartphones have always been some of the best Android devices you can buy, giving you a pure Android experience and speedy software updates. But last year's Pixel 2 was starting to show its age, and it's no surprise that Google unveiled an updated Pixel 3 and Pixel 3 XL, both due out later this month. 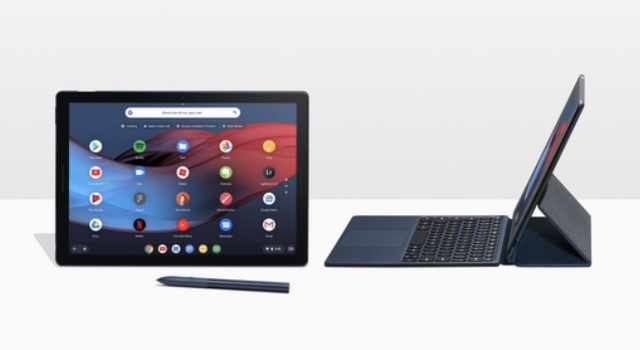 But while annual smartphone updates are expected in the tech world, Google also announced two new devices: the Pixel Slate 2-in-1 tablet and the Home Hub smart display. While you can find similar products from other manufacturers, Google makes a good case as to why you should cut out the middle man and shop from Google. So let's take. Look at just what the company has to offer. 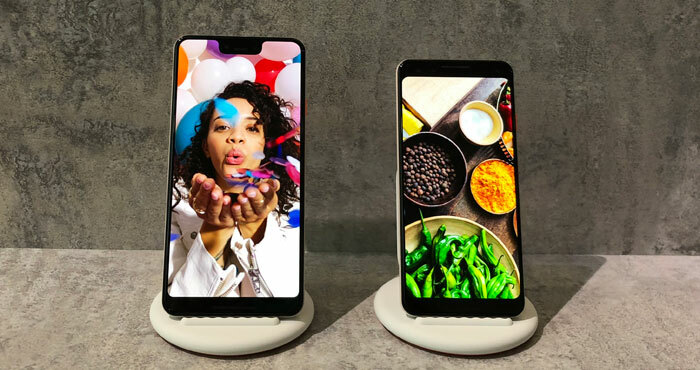 The latest Pixel smartphones — the 5.5" Pixel 3 and the 6.3" Pixel 3 XL — are a solid upgrade over the previous generation, though they may not be particularly exciting ones. The screen is a higher resolution P-OLED, the battery is a little bigger (in the Pixel 3), the processor is a little faster, and the speakers are a little louder. These are the sorts of features you expect with any smartphone update — so what's exciting about the Pixel 3? Top Shot, which looks through multiple photos taken to create an HDR image to find the best photo to use. That means it can tell if someone's blinking or your finger slipped over the camera lens, and suggests alternate images to use. Super Res Zoom, which takes a burst of shots and then uses AI to create sharper zoomed photos. Night Sight, which lets you take pictures in low light without a flash by using machine learning to color correct images appropriately. The Photobooth app will automatically snap an image when it when it sees you smile. And photography-lovers shouldn't forget picking up a Pixel 3 gives them unlimited Google Photos storage — it's the same as what was offered with the Pixel 2, and it's a convenience that anyone snapping a lot of pictures will appreciate. Wireless charging is coming to the Pixel 3, too, and while you could use any Qi-charger to power up your Pixel, the new Pixel Stand charging dock automatically turns your Pixel into a tiny smart display, a convenient way to use your phone when it isn't actively in your hand. For instance, there's Sunrise Alarm, which displays an artificial sunrise for the 15 minutes prior to your alarm going off (see it in action below). The stand will add an extra $79 to your phone's cost, however. Both the Pixel 3 ($799) and the Pixel 3 XL ($899) are available for pre-order now and will ship on October 18. That's a price jump from the Pixel 2 models, but still cheaper than Apple and Samsung's flagship phone offerings. Google Assistant already powers smart displays from Lenovo and JBL, but the Home Hub is Google's first attempt at making its own hardware. This 7" screen is smaller than other smart displays, most of which are in the 10" range, but that makes it fit neatly just about anywhere in your home. Adaptive brightness makes it even less intrusive, because the screen will dim based on ambient lighting, and it will turn off entirely in the dark — so you won't have an overly bright screen glaring at you all the time. While the Home Hub does everything a Google Home speaker can do, only with the addition of a display. That gives it all kinds of new uses: you can watch videos, view your calendar, browse recipes, and a lot more. However, it feels like the gadget's most interesting feature is the Hub Home View, a dashboard for all of your smart home devices so you can view and control everything in one place. That's something you won't find on other Google Assistant smart displays, and it makes the Home Hub an appealing smart home addition. One thing the Home Hub doesn't have is a camera. 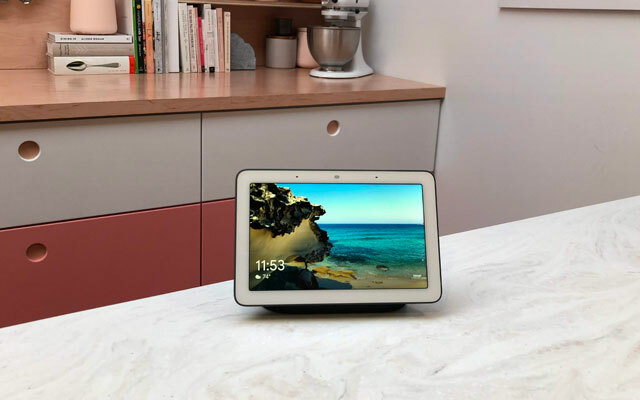 It's a feature you'll find on all of the competition — particularly the Amazon Echo Show and the Facebook Portal, both of which focus on video calling features. But Google advertises the Home Hub's lack of a camera as a privacy feature. You can put the Home Hub anywhere without worrying about privacy — though it's worth remembering that these voice-activated devices are always listening for you to say their wake phrase. The Google Home Hub is available for pre-order for $149 — a little cheaper than the competition — and will ship on October 22. This isn't just another Android tablet: the 12.3" Pixel Slate runs a version of Chrome OS that's been optimized for touchscreens. It's a bulky, 1.6lb tablet, but it's been designed to keep its center of balance in the middle of the device, which makes it easy to hold. It has everything you might need in a tablet: support for Android apps a sharp 293ppi screen, a solid 10 hours of battery life, a pair of 8MP cameras for videocalling and a fingerprint sensor for security. But what really makes the Slate shine is its versatility — because while it can run standard tablet apps, Chrome OS lets it act as a more traditional desktop computer. Use it as a tablet or attach the (optional) keyboard to turn it into a laptop replacement. Of course, to act as a laptop, the Pixel Slate has to be pretty powerful, so it comes equipped with an Intel processor ranging from a low-end Celeron to a top-of-the-line Core i7. That makes it similar to the Microsoft Surface Pro 6, another high-end 2-in-1, except that the Surface runs Windows rather than Chrome OS. Depending on whether you're more interested in running Windows apps or Android apps, the Surface may be more appealing. The real snag is likely the price. It starts at $599 and goes up to $1599 — and the keyboard will cost an extra $199. If you're determined to have a Pixel Slate for yourself, you can sign up for the waitlist to be emailed when they're available.